BLOOMINGTON, Ind. 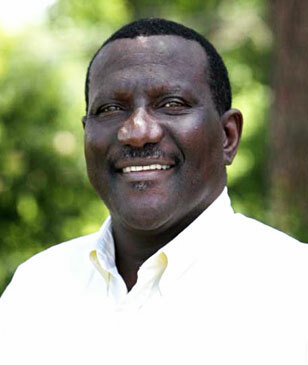 -- The first black mayor of a historic Mississippi city, a brigadier general and one of the nation's top academics on race in America all are coming for a conference at Indiana University Bloomington. They will be presenters at the 2010 Men and Women of Color Leadership Conference being held at IU's Kelley School of Business and at the Indiana Memorial Union on Nov. 12-13. The theme for the student-founded conference is "Pluralism, Antagonism and Civil Engagement: Developing Leaders in 21st Century America." The IU Office of Mentoring Services and Leadership Development is sponsoring the conference. James Andrew Young, who last year became the first African American to be elected mayor of Philadelphia, Miss., where the murder of three civil rights workers once shined international attention on the community and led to the passage of the Civil Rights Act of 1964. Brigadier Gen. Bryan T. Roberts, deputy commanding general in the U.S. Army, who has commanded troops in Germany, Iraq and Bosnia and served at the National Military Command Center, the Joint Staff Center at the Pentagon and the White House Military Office. Patrick Smith, executive director of IU's Office of Mentoring Services and Leadership Development, said the event always has been committed to uniting African American, Latino, Asian and Native American people in Indiana and elsewhere by providing a platform and a venue for effective dialogue and leadership development. "This theme was chosen in response to the degradation of civil dialogue that our country has recently been experiencing," Smith said. "Right now, it seems like we're very polarized as a country and this conference is designed to speak to those elements and, in developing leaders, we want to impress upon our participants how important civil dialogue is, how to engage in it, maintain it and articulate a message that has value for everyone. "There are differences that exist throughout our country. We understand that there are differences, but we don't have to be divisive," Smith added. "We feel that these four individuals encompass what the theme is all about . . . We're looking at academic excellence, building coalitions, career awareness, diversity education, empowerment and leadership development and these speakers compliment all of those areas." The conference will emphasize academic excellence, career development, diversity awareness and empowerment, as well as political awareness. Workshops will be available that will promote dialogue that reflects these categories. In addition, participants will leave the event armed with information that will empower them to impact change in their communities, schools, or agencies. In addition to students from several IU campuses, participants will represent Manchester College (Indiana), Michigan State University, Southeast Missouri State, Ivy Tech Community College, Columbia College of Chicago, Wilberforce University and other educational institutions. Young became the first African American mayor of Philadelphia, Miss. on July 3, 2009. Born in rural Neshoba County (Miss. ), he moved to Philadelphia as a small child in the early 1960s with his parents and three brothers and three sisters. As a young man, he was laid off at U.S. Motors in 1975 and two weeks later landed a job as a housekeeper at Neshoba County General Hospital, where then-hospital administrator Robert Turcotte Sr. saw his potential and sent him to school to become an emergency medical technician. Turcotte continued to put his confidence in Young, who went on to become the county's first EMT and later an EMT-Paramedic, leading the county ambulance service for nearly two decades. Under Young's leadership, the ambulance service rose to become one of the top five in the state and the first rural service to provide paramedic care. He served nearly four terms as a District 5 supervisor before he was defeated in 2007 and also has been pastor of a Pentecostal church in nearby Louisville, Miss., for the past 18 years. Hu-DeHart is professor of history, and director of the Center for the Study of Race and Ethnicity in America at Brown University. She joined Brown from the University of Colorado at Boulder, where she was chair of the Department of Ethnic Studies and director of the Center for Studies of Ethnicity and Race in America. She also has taught at the City University of New York system, New York University, Washington University in St. Louis, University of Arizona and University of Michigan, as well as lectured at universities and research institutes in Mexico, Peru, Cuba, France, Hong Kong, Taiwan and China. She has published three books on the Yaqui Indians of Northern Mexico and Arizona. 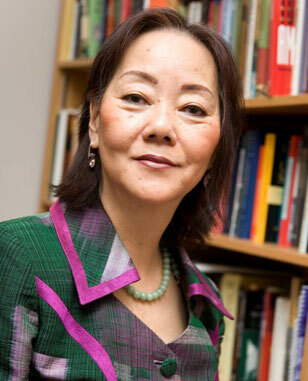 She also has written numerous scholarly articles on her current research on the Asian Diaspora in Latin America and the Caribbean and about the politics of multiculturalism. She has been the recipient of numerous research awards, including two Fulbrights, to Brazil and Peru. She is also the recipient of a three-year Kellogg National Leadership Award. 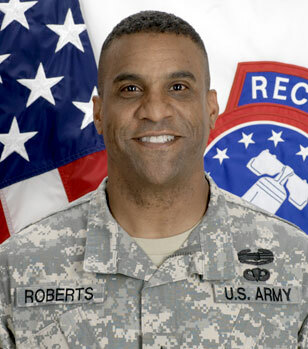 Gen. Roberts is a Distinguished Military Graduate of Eastern Michigan University. Commissioned as a second lieutenant of Armor in 1983, his principle staff assignments have been as operations officer in 2-7th Armored Cavalry Squadron at Fort Carson, Colo., 1-4th Armored Cavalry Squadron, Schweinfurt, Germany, and Bosnia during Operation Joint Endeavor, the White House Military Office, Washington, D.C., and the National Military Command Center, The Joint Staff at the Pentagon. He also served as executive officer in the 2nd "Dagger" Brigade in Schweinfurt, Germany; as special assistant to the chief of staff of the Army; and Chief of Information Operations for the 1st Cavalry Division in Baghdad, Iraq, during Operation Iraqi Freedom II. He commanded Alpha Troop, 2-7th Armored Cavalry Squadron, 4th Infantry Division at Fort Carson; 1-66th Armor Battalion, 4th Infantry Division at Fort Hood, Texas; and the 2nd "Black Jack" Brigade Combat Team at Fort Hood in New Orleans during Hurricane Katrina Relief Operations, and Baghdad during Operation Iraqi Freedom in 2006-08. Before coming to the Recruiting Command this July, he served as the director of integration in the headquarters, Department of the Army G-8, at the Pentagon. His awards and decorations include the Legion of Merit, the Bronze Star Medal with Oak Leaf Cluster and Defense Meritorious Service Medal with Oak Leaf Cluster. The conference will begin with a series of workshops at 2 p.m. on Nov. 12 at the Kelley School of Business' Godfrey Graduate and Executive Education Center, 1275 E. 10th St. The keynote address, which will begin at 6 p.m., will be followed by a reception and networking opportunity with employers. The conference will continue the next morning at 9 a.m. at the Indiana Memorial Union, 900 E. Seventh St. Young will speak at lunch. The deadline for registration is Nov. 8, but early registration is encouraged because of early initial interest. The fee to attend the conference is $60 for university and community professionals, $40 for college students. Interested students should contact the Office of Mentoring Services and Leadership Development at 812-855-8850. The fee includes all conference materials, the opening reception, breakfast and lunch and materials. There will be no onsite registration. To register for the conference and obtain additional information, go to www.iub.edu/~moc. Other conference supporters and co-sponsors include the Kelley Office of Diversity Initiatives (KODI), Kelley School of Business, the President's Office, Office of the Vice President for Diversity, Equity and Multicultural Affairs, School of Education, Residential Programs and Services; 21st Century Scholars Program, School of Health, Physical Education and Recreation, Office of Women Affairs, Ivy Tech, the City of Bloomington, Bloomington Convention and Visitors Bureau and corporate sponsors, PricewaterhouseCoopers, Target and the U.S. Army.